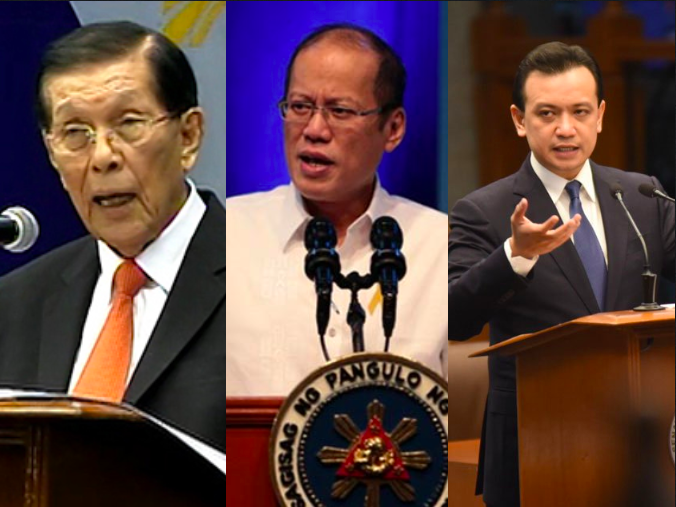 Former Senate President Juan Ponce Enrile said that he warned former President Benigno "Noynoy" Aquino III of the harms of the backdoor talks that Senator Antonio Trillanes IV did with China during the height of the Philippines’ conflict with China over the West Philippine Sea. 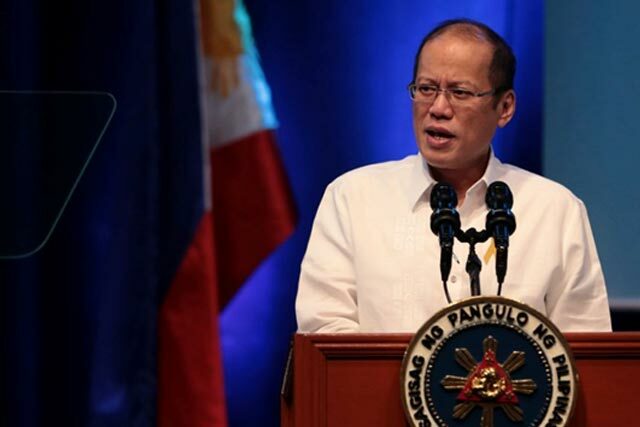 It was last year, on June 16, that then President Aquino ordered that Philippine ships retreat from Scarborough Shoal. After that, the country was unable to regain control of the disputed seas and islands. Trillanes was sent to China in behalf of Aquino to conduct back channeling talking with Beijing officials. It is said that the talks were in order to settle the conflict in Panatag Shoal. Enrile said that he was one of the first people to know about Trillanes’ trip to China. He said that he learned about it during a meeting at Malacanang. “The meeting was a briefing by (then Foreign Affairs) Secretary Albert del Rosario to President Aquino regarding the situation in the West Philippine Sea,” Enrile said. 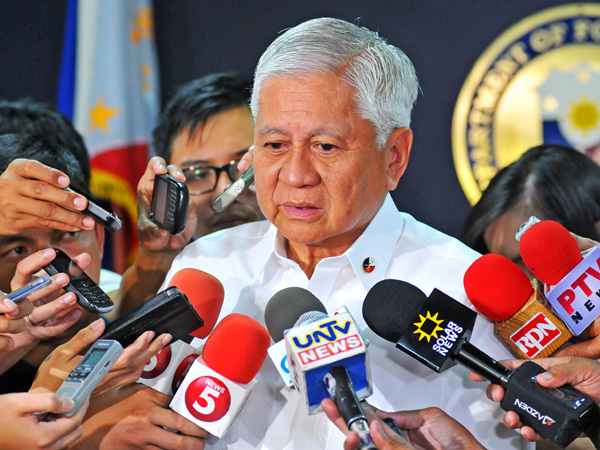 He added that Trillanes told him that the briefing done by Del Rosario was not true. When asked how Trillanes knew this, Enrile said that the senator told him that he went to China. 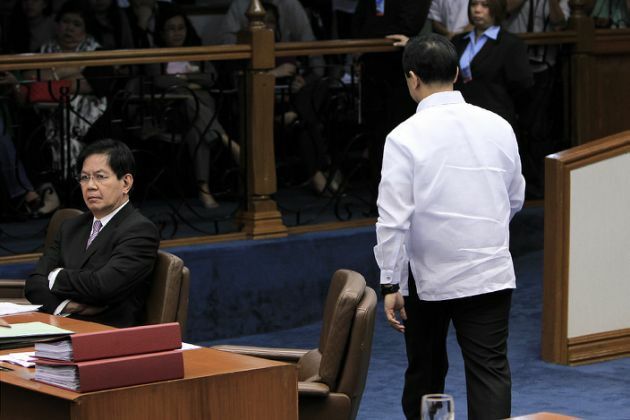 Because of this, Enrile said he confronted Aquino. “So, I told him ‘Mr. President these backdoor talks are dangerous to the interest of our country, they are not very wise’,” Enrile said. 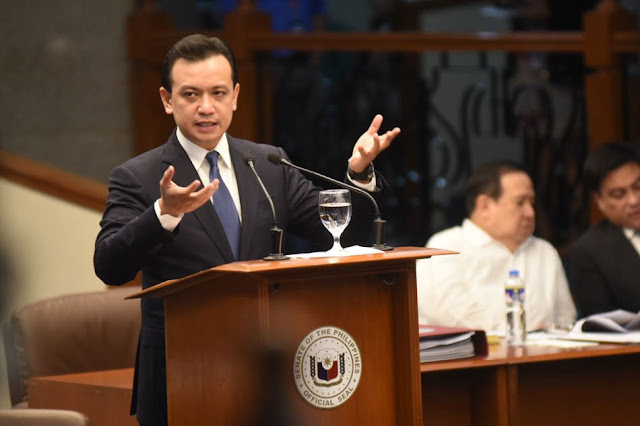 Enrile said that Trillanes made about 16 trips to Beijing, and everything that Trillanes said during those meetings can be used against the Philippines in the future. 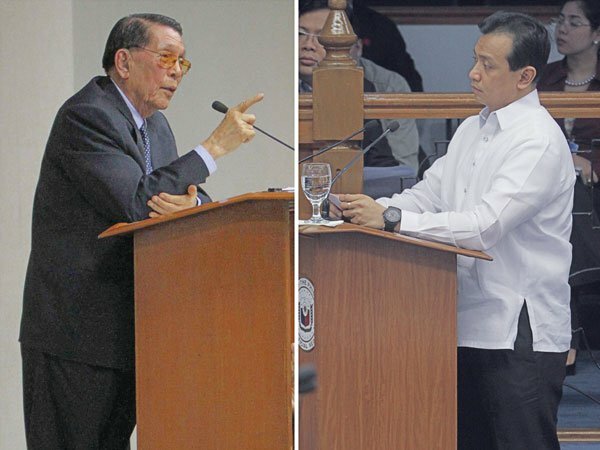 "Whatever statements made during those meetings (Trillanes made) can be used against us in the future and may be against our country's interest," Enrile said. Foreign Affairs Secretary Alan Peter Cayetano also shared the same sentiment with Enrile, and confirmed his claims. 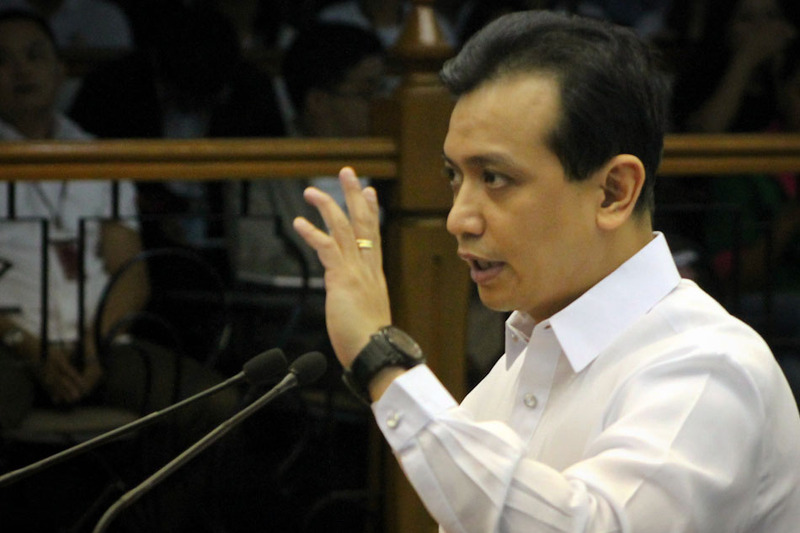 Trillanes allegedly serves as Aquino’s adviser in the West Philippine issue and that he was the one who told Aquino to not go back to Panatag Shoal after the country’s retreat from the standoff. 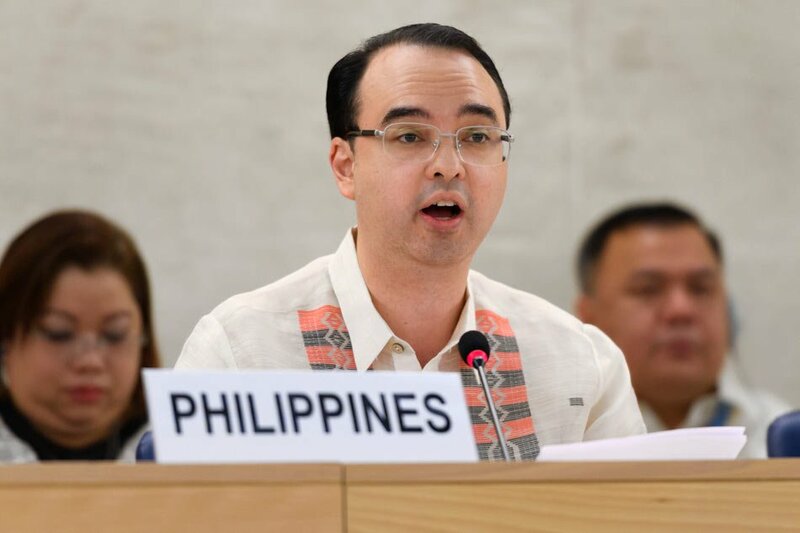 “President Aquino decided, through the advice of Senator Trillanes because he (Trillanes) was the one who did the backchannel to China, not to go back there (Panatag) even when the agreement was for both parties (Manila and China) to pullout,” said Cayetano. 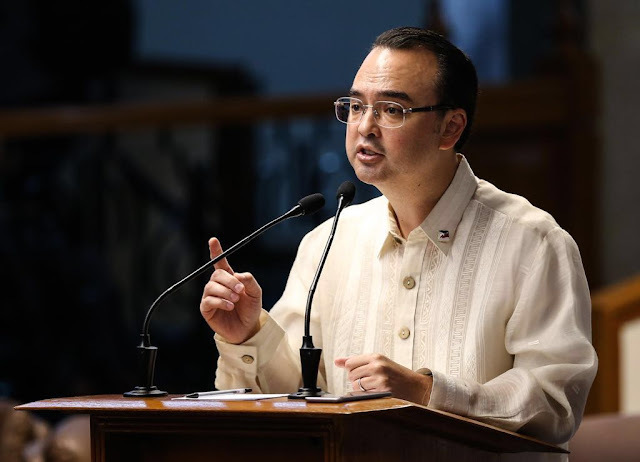 Cayetano added that it is the Duterte administration that have exerted the most effort in trying to fix the tension between the Philippines and China. 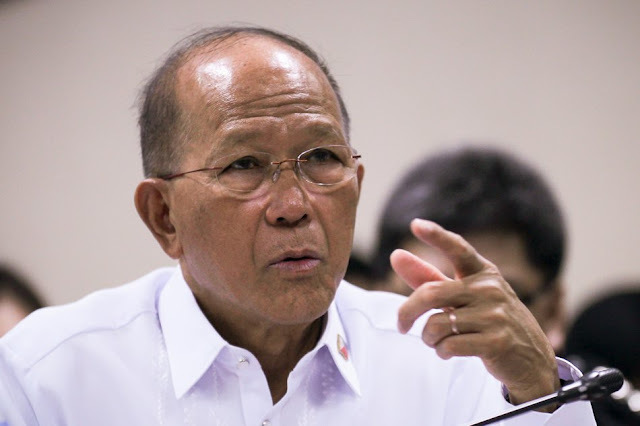 He adds that when Filipino fishermen complained that Chinese fishermen stole their catch, Malacanang called Beijing and had the Chinese Ambassador fly to Manila. Cayetano said that an investigation is underway and that sanction will be imposed upon those who have made these mistakes. Defense Secretary Delfin Lorenzana weighed in on the issue saying that the Aquino administration “mismanaged” the conflict and escalated it. He said that It is the Duterte administration who fixed this and eased the tension between the countries. 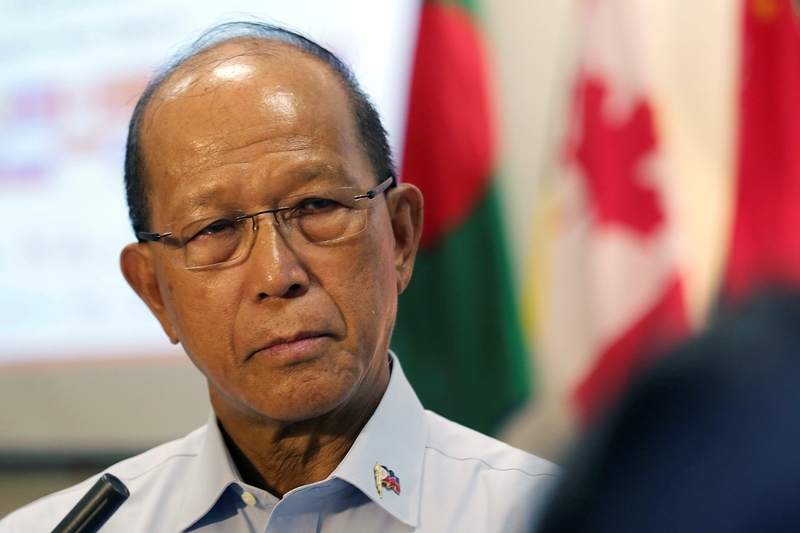 He also said that he has had the Armed Forces of the Philippines’ ships and aircraft regularly patrol the West Philippine Sea. Magdalo Partylist Gary Alejano said this was not true and that the AFP has stopped their patrol under the orders of President Duterte.